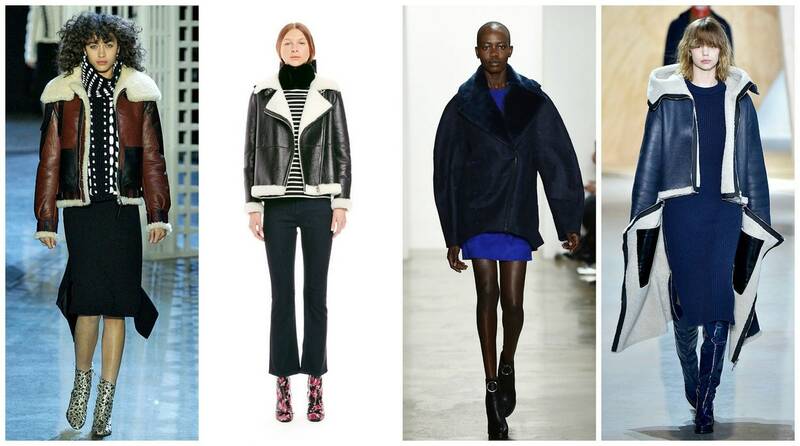 What will be the trends of the winter season 2013/2014? It will play all about contrasts and one of the muses of designers is the celluloid. From the collections of Paris and New York, with a mandatory stop in London and Milan, it is clear that the next autumn-winter season is played throughout the contrasts: the ambiguity between male and female, between strength and fragility, opulence and grunge, past and this. Contrasts that reflect the many facets of the twenty-first century woman, and above all celebrate her unique personal style. 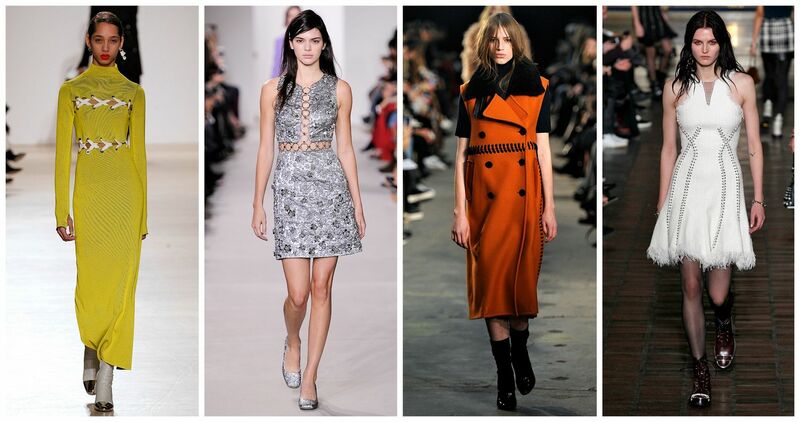 What are some recurring trends of the winter season 2013-2014? A tip to the girls: take a look at the wardrobe of your fathers or boyfriends: you could find some really interesting item of clothing! 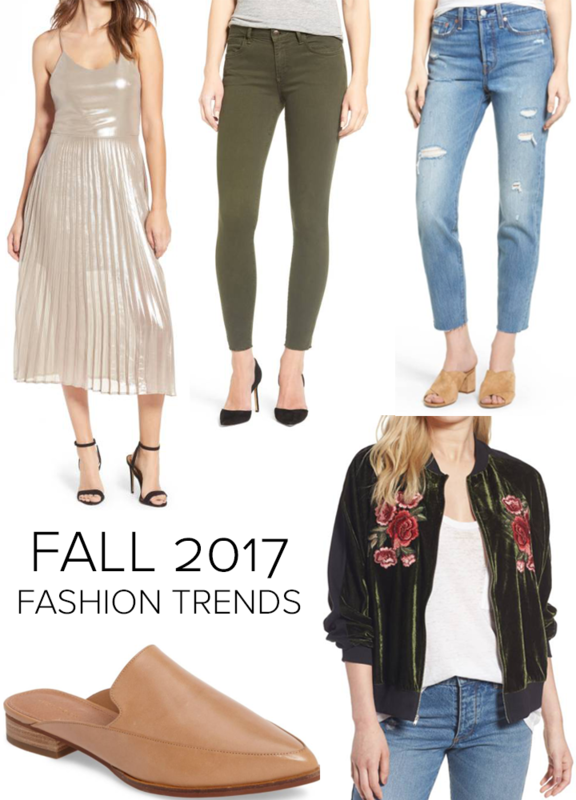 Oversized dimensions, tomboy-style pinstripe fabric… these are some of the trends for next season. Once again, the film was a major source of inspiration for designers. Many collections evoke the charm of the past (culture, fashion, lifestyle) that movies like the Great Gatsby, based on the novel by F. Scott Fitzgerald, have brought to the big screen. And again, movies like Noir, known for a highly dramatic film iconography and stylized, but also for the protagonists characters costumes, inspired a particularly refined style, reflected in proposals from real femme fatale. From celluloid directly on the catwalk! Dark, intense and classic, the blue is the new black of the season. Made famous by the British Royal Navy, the dark blue has taken hold in the world of fashion and looks like the standout color of the next winter. 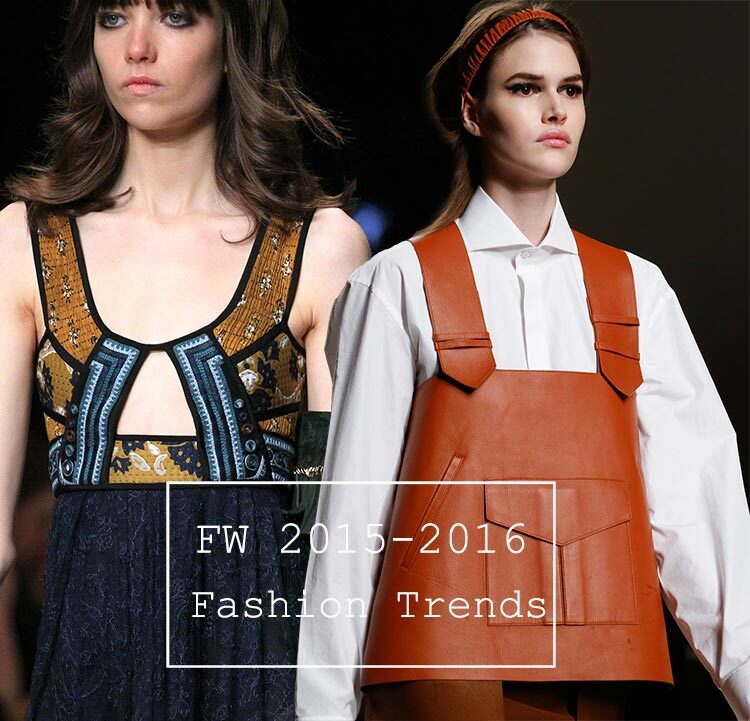 To wear from head to toe, as we have seen in the collections of Céline and Chloé. The real must-have is the fur coat, proposed in pop colors, exotic and vibrant. Almost as immersed in fluorescent paint and bleached in acid, the furs are two-tone (or even tri-color): black turns to fluorescent pink or warm yellow and the brown lights up red or green tones.The most classic and sophisticated style codes are reversed, and the fur is cleared. Roberto Cavalli, Fendi and Versace teach! In addition to the hair, even a lot of feathers! Just ostrich feathers will be a cult item in the autumn-winter season in 2013/2014 version ready-to-wear. Use it to decorate luxurious clothes that as outerwear, some designers showed their great love for ostrich feathers ( Vivienne Westwood, Gucci, Oscar de la Renta, Louis Vuitton, among others). Under the influence of the legendary Coco Chanel, who made a typically feminine masculine fabrics, the designers have created an irresistible look, use a carded wool.Provocative and sensual, tweed inspired winter collection of Dolce & Gabbana, Prada and Chanel. Also geometric prints will be a cult in the next winter season. Red, blue, black or green, is the call of the skirt! 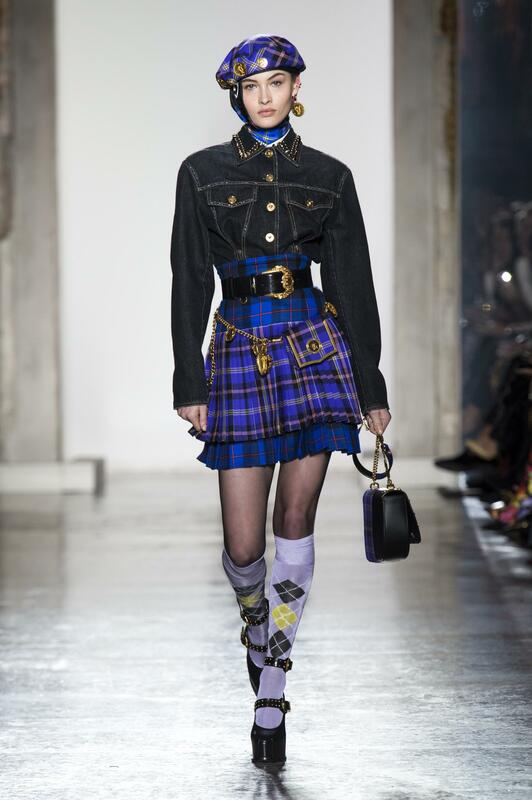 Punk, rock and metal touches: the designers have brought back the nonconformist and rebellious style of grunge trend of the 80s and 90s for the new autumn season, characterized by the black and dark colors, from studded leather, from latex, and the tights from checked shirts. Emilio Pucci, Rodarte, Vivienne Westwood and Saint Laurent seem to have made ​​a leap in the wardrobe of Courtney Love and Blondie, adding a touch of couture. 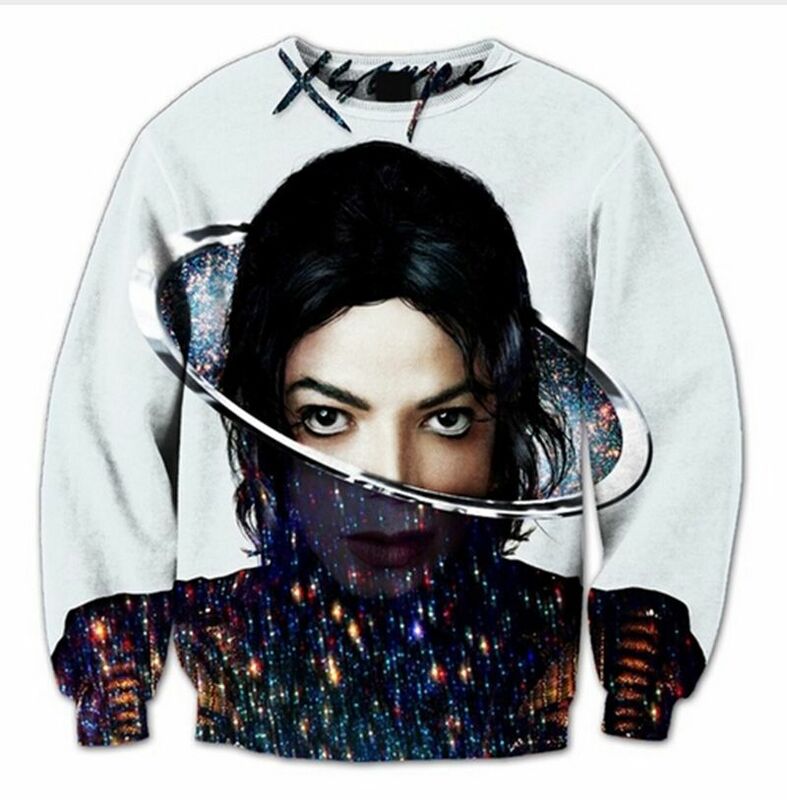 In addition to the geometry and to animal models , there is also room for truly original prints: a riot of hearts, flowers, dots, stars and even characters from cartoons such as Bambi. We saw them in the collections of Burberry Prorsum autumn, Saint Laurent, Givenchy, Kenzo and others. Animal prints are an inexhaustible subject, a tendency timeless, as long as there is the Roberto Cavalli brand. 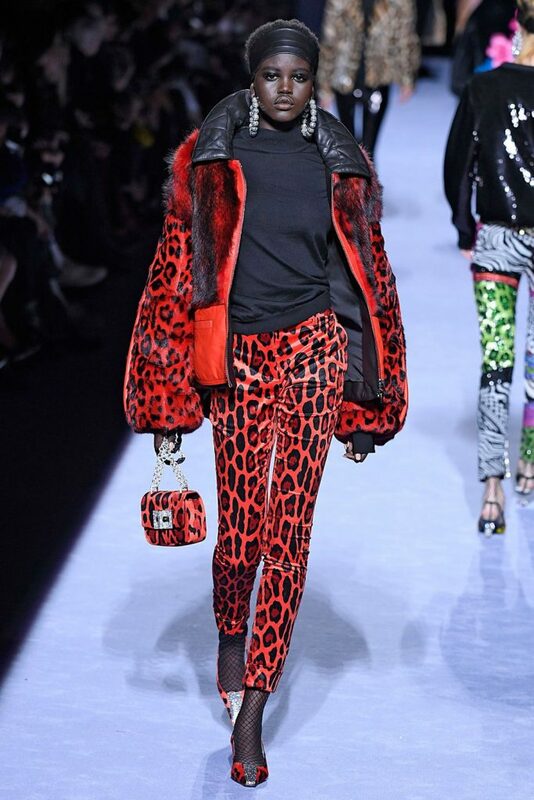 By autumn 2013, the leopard patterns and python prints have been widely and obviously used by Just Cavalli. 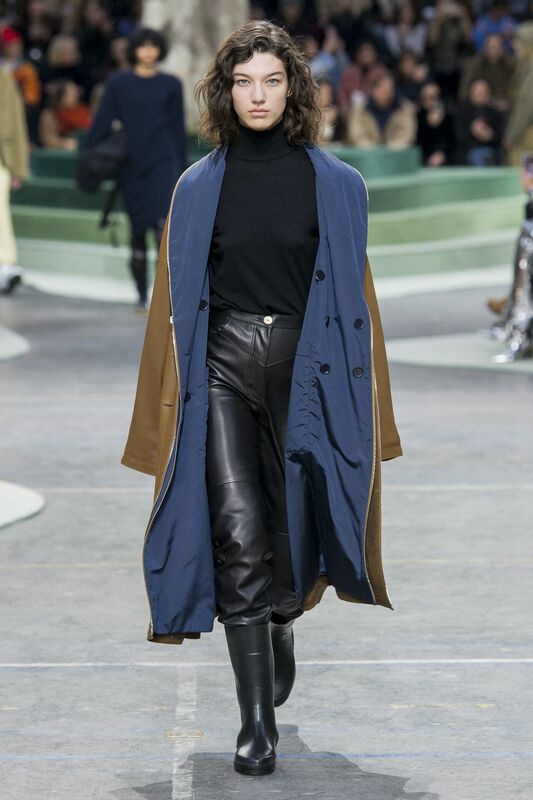 Almost half of jackets and coats seen on the catwalk has oversized dimensions , or exaggerated shoulders and bulky – a trick that cleverly softens the winter silhouettes. 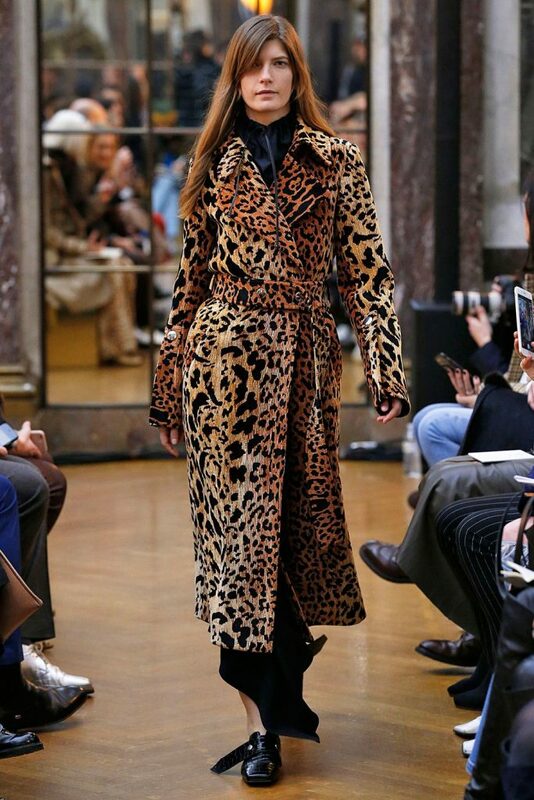 Seen on the catwalks of Gucci, Kenzo and Balenciaga, whose creative director Alexander Wangwanted to make a tribute to the large cuts of ‘era of Cristobal Balenciaga, founder of the famous fashion house. With a retro touch and an air of naive Regardless, the feminine-masculine look for next winter appears to have been influenced by the character of Gavroche from Les Misérables .Male influences are imposed between the designers. From Giorgio Armani jackets without sleeves were worn over trousers in velvet high and Ralph Lauren life models wore a black cap, with oversize shirt in men’s vest style and pants tucked into boots. Great alternative to fur with its impalpable texture , softens shapes and smoothly wraps the body. This fabric has gained considerable popularity in the Eighties, when almost every woman had a mohair scarf , bought or homemade. Ready to comeback? From sweaters to dresses, from coats to pants, you’ll see everywhere! For next season, it affirms the trend inspired by films and TV series such as Game of Thrones : pieces that recall the chain mail of knights and clothes that seem torn from Byzantine icons. Far dall’appesantire the silhouette, the metal mesh gently dress your chest, hips and legs. Absolutely unique and original proposal of Dolce & Gabbana, which evokes the charm of Byzantine mosaics! Icons such as Lauren Bacall, Ingrid Bergman, Veronica Lake and Katherine Hepburn are the muses of the autumn-winter 2013/2014 season. Designers have emulated the hourglass silhouettes, rough seduction expression, repeated the rounded hips, necklines and soft shoulders. 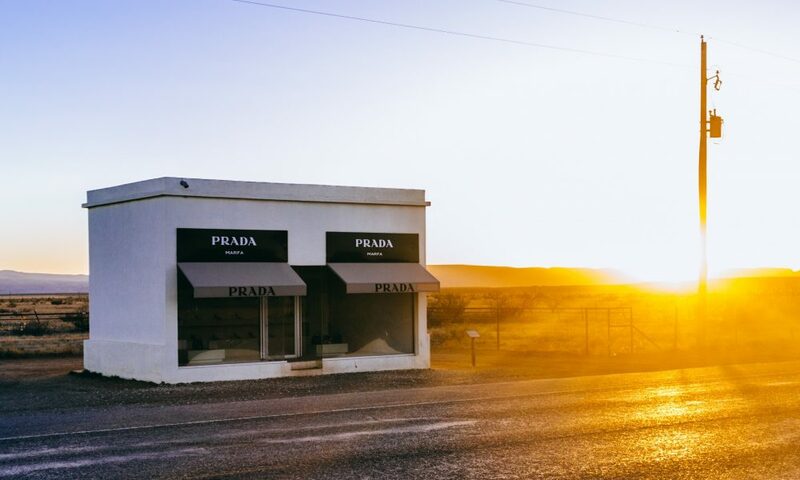 Prada, Gucci, Bottega Veneta, Christian Dior, Tom Ford and Marc Jacobs are some of the most important designers who have represented the forties in their collections. When it comes to leather and skins for next season, the crocodile is the real must : in its natural color, as seen by Hermès and Prada, or in pastel shades as seen in the Louis Vuitton collections. 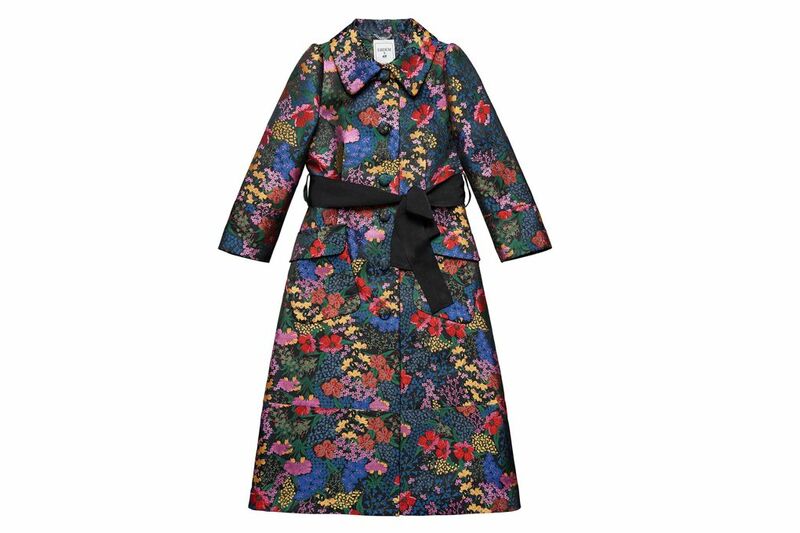 Even the paint will be very trendy, the real challenge for autumn 2013, views on dresses, trench coats and raincoats. shiny colors and metallic fabrics. Fashion asks us to shine not only in the traditional gold and silver, but also in all the other shades of the rainbow, like the sparkling blue or purple irresistible. 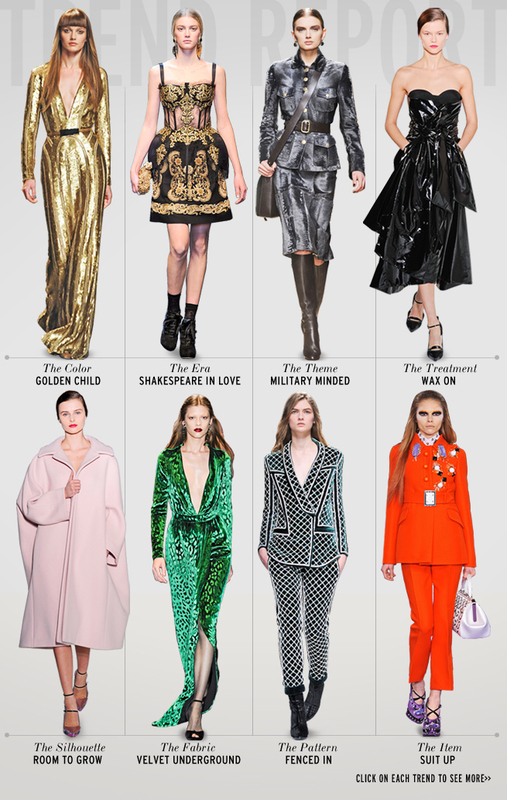 If it comes to luxury, fashion designers do not forget the classics , bringing on stage not only the retro trend, but also the refined baroque style. The deep colors, rich fabrics such as velvet, satin, brocade and silk, typical of the Baroque, will be a hit this fall. An exquisite chic romanticism is present in most of the collections. Gold embroidery, lace and patterns printed in the form of fragments or even entire paintings by famous masters of the Renaissance: this refined style requires a sophisticated silhouette and is expressed in soft drapes, interesting textures, pleats, voluminous sleeves and important jewelry. It is impossible to tire of the look black or black and white, and it is absolutely impossible to imagine a single season without this trend, more and totally chic! 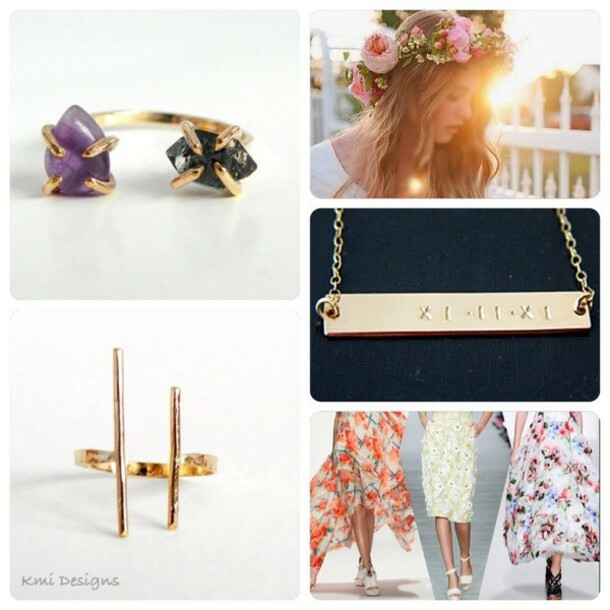 In the meantime, enjoy these last days of summer and slowly prepare your wardrobe for the new trends!